Always attention to detail, technical skills, passion in our work and great attention to customer needs are the strengths that have allowed us to excel in the field of sale of Auto Air SEMI-OPAQUE 4209 DARK GREEN 120 ml. Consultando il catalogo di Aerografando you will immediately notice how vast it is and how diversified the model range is Auto Air semi-opaque base coat colors, you will find the best Auto Air SEMI-OPAQUE 4209 DARK GREEN 120 ml offers at the best prices on all Auto Air SEMI-OPAQUE 4209 DARK GREEN 120 ml of the brands AutoAir. A wide range of basic colors for all applications requiring full coverage. The colors AUTOAIR are universally recognized as the most popular water-based colors and aerografisti used by the best in the world. They have consistently high performance and availability of a range unrivaled (more than a hundred colors in eleven effects), and are complemented by a wide range of additives and auxiliary products of last generation. Always guarantee a flawless performance in all applications of paint and graphics and are ideal as a base layer and finishing on all non-porous surfaces, such as metal, plastic, glass, etc. .. 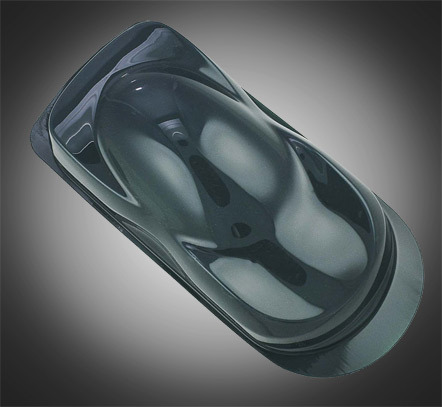 Excellent also for applications in the automotive field on cars, bikes, helmets and custom objects in general. Compatible with water-based and urethane products, are considered the perfect complement for all ranges of colors with no special effects. After applying resist to light and persist over time; sealed and placed in special vials are guaranteed over two years. Read the reviews of our customers on Auto Air SEMI-OPAQUE 4209 DARK GREEN 120 ml of the category Auto Air semi-opaque base coat colors. With us you will find only satisfied customers, thanks to a technical assistance made by those who really know the world Auto Air semi-opaque base coat colors. Review Auto Air SEMI-OPAQUE 4209 DARK GREEN 120 ml of the brand AutoAir. Trust in the quality and professionalism of Aerografando on the sale of Auto Air SEMI-OPAQUE 4209 DARK GREEN 120 ml, only from us you will find the best prices. You want to have more details on Auto Air SEMI-OPAQUE 4209 DARK GREEN 120 ml 4209 or more generally on ours Auto Air semi-opaque base coat colors? You are looking for a Auto Air semi-opaque base coat colors but do not you find it in the catalog? Staff of Aerografando will answer all your requests.